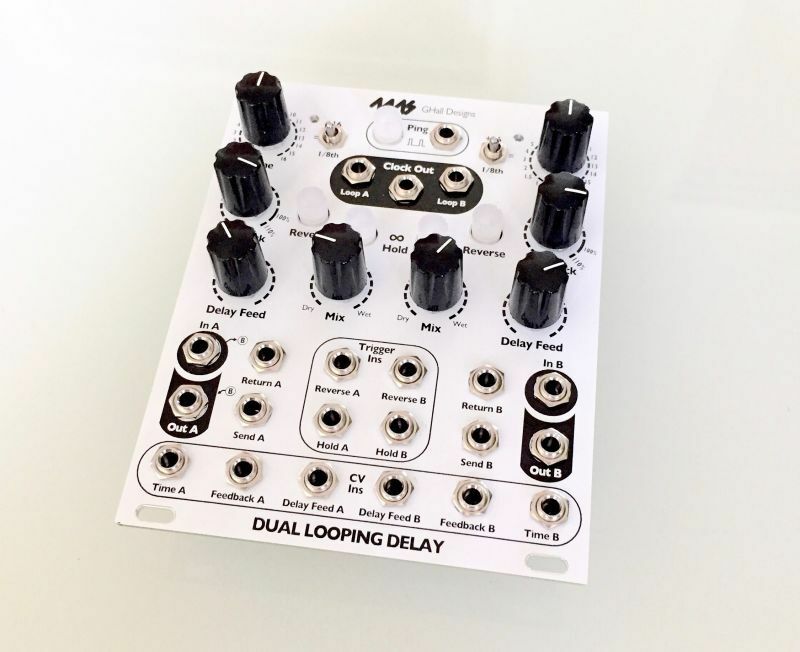 The Dual Looping Delay (DLD) is an advanced audio processor for creative synthesis. 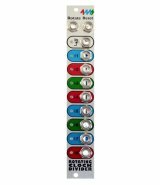 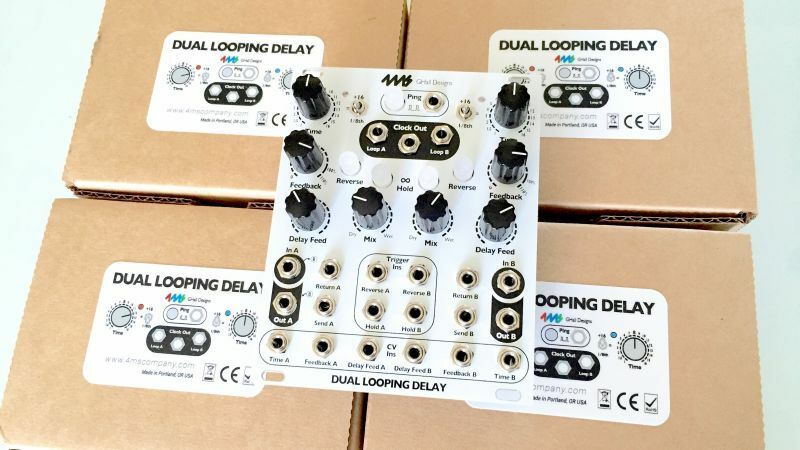 Not a tape or analog emulation but a modern crystal-clear digital delay, the DLD combines features of delay, looping, and sample-tight synchronization for powerful and dynamic sound capture and modification. 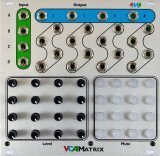 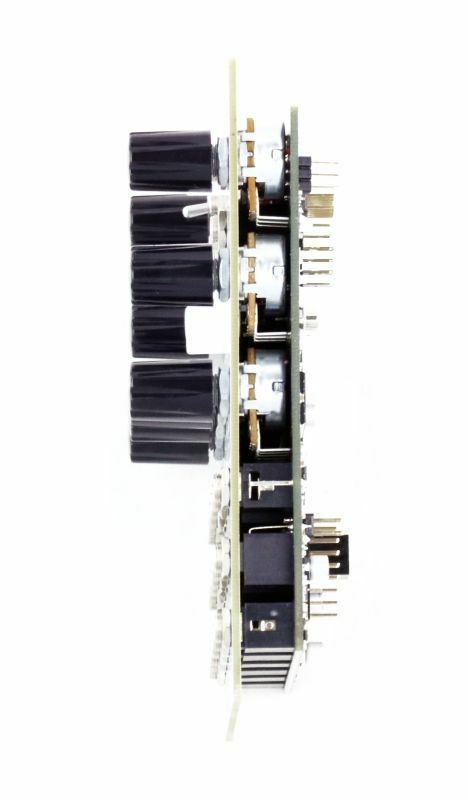 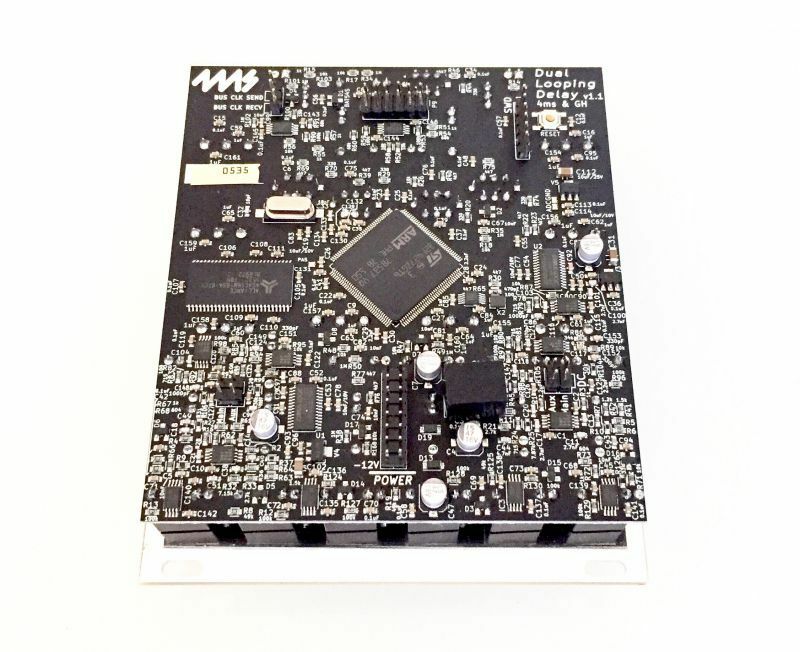 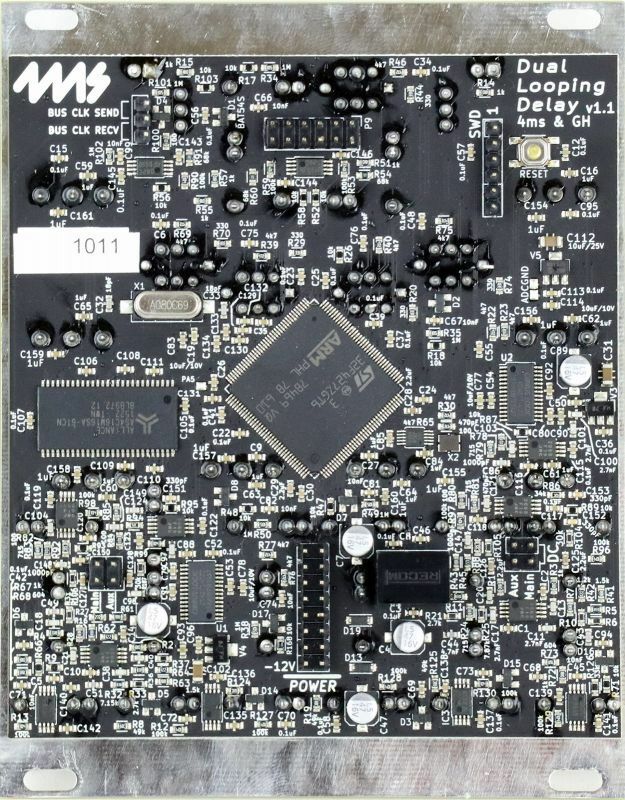 The DLD is designed to integrate seamlessly with modular timebase and sequencing devices such as the 4ms Quad Clock Distributor (QCD), etc. 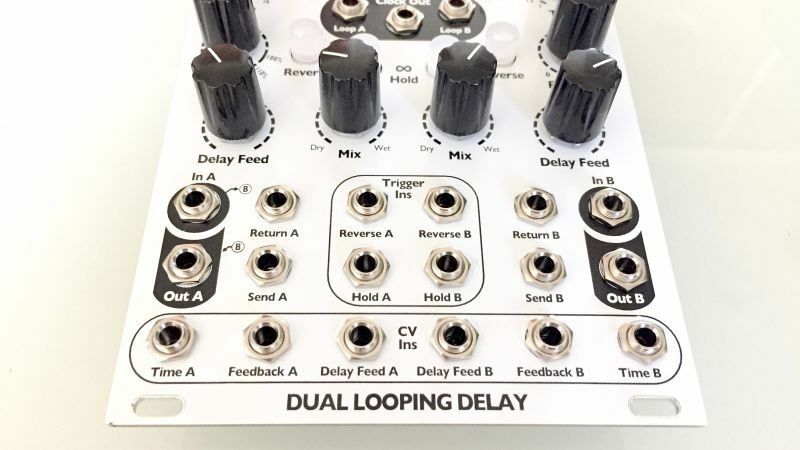 What is a "Looping Delay"? 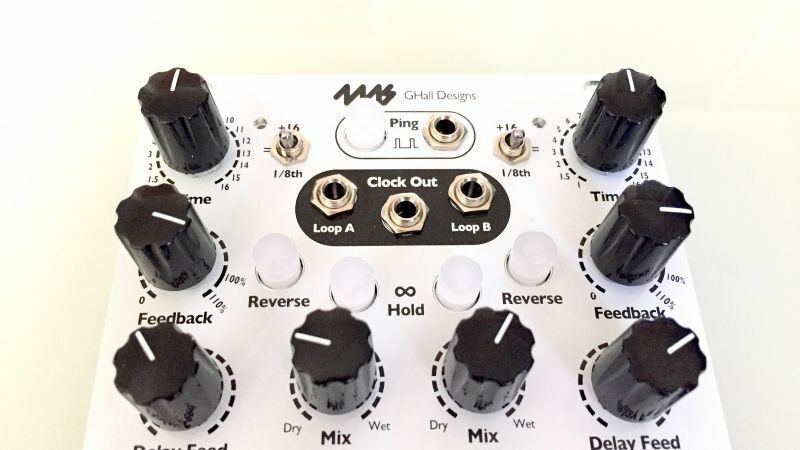 Modern looping devices grew directly from hardware digital delays of the late 70s and early 80s. 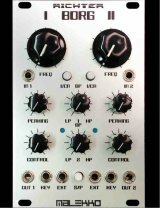 A looping delay, modeled on units such as the classic Lexicon PCM42, has the very long storage times associated with dedicated looping, but without triggered record and playback functions. 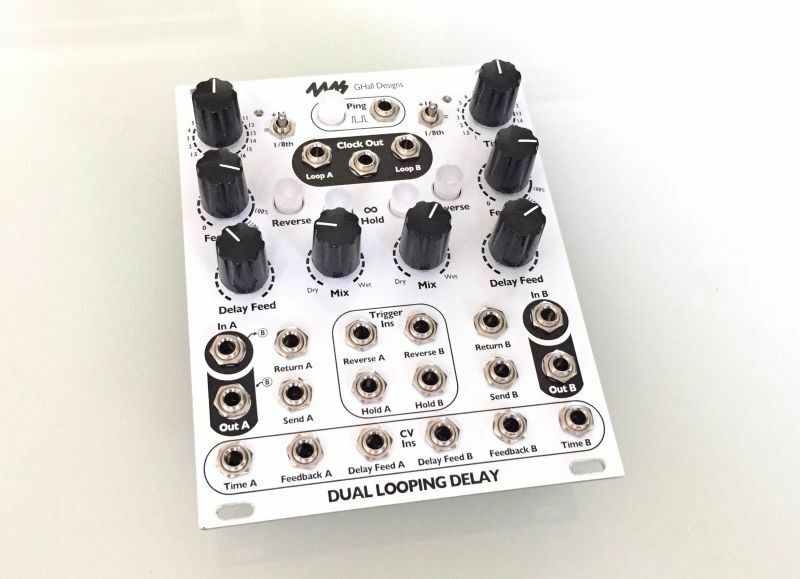 By default, a looping delay records and plays continuously, though recording can be suspended at any time with Infinite Repeat. 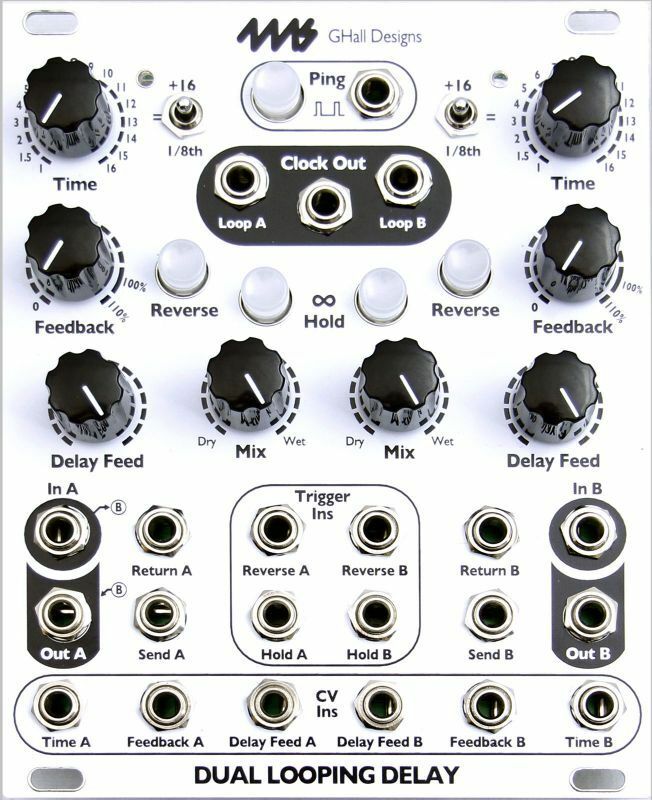 Sustain of delays and loops is mainly accomplished with regeneration, allowing an organic, evolving approach to sound creation as new material replaces old, more or less gradually. 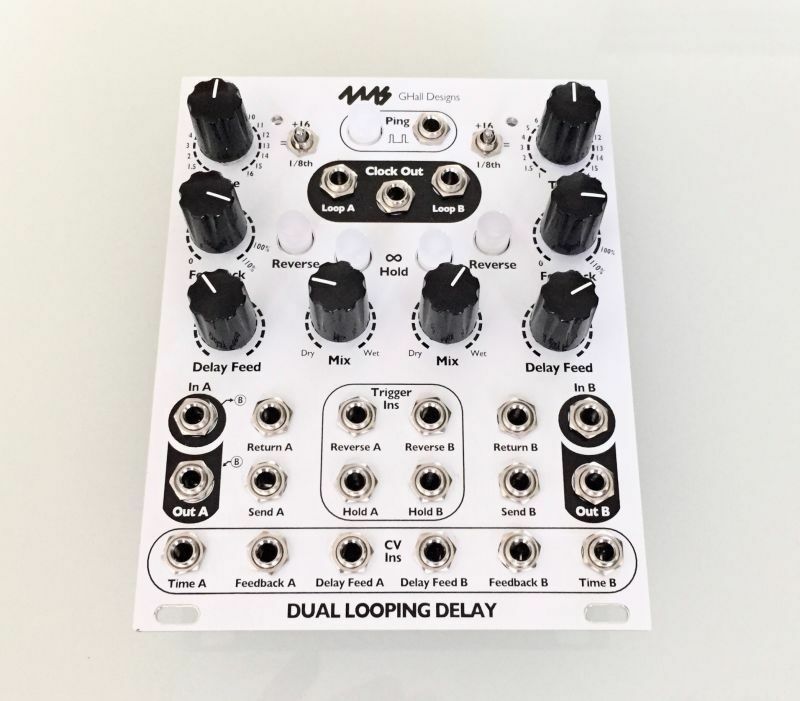 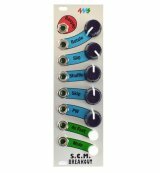 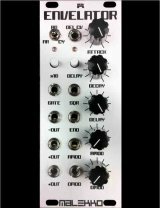 The 4ms Dual Looping Delay also provides advanced clock input and output facilities that allow for locking delayed and looped material with sequencers and rhythmic devices. 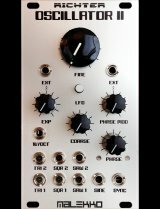 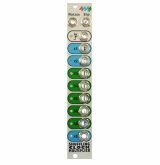 Tap tempo button and clock Ping input set the basis for one "beat"
Optional jumper to choose DC or AC coupling on input.